WARSAW — Bonds for the new Warsaw-Wayne Fire Territory Fire Station were sold Thursday according to an announcement at the Warsaw Board of Works meeting Friday morning, Dec. 16. Warsaw Mayor Joe Thallemer stated the bonds totaled $2.95 million, just under the $3 million cap and at an interest rate of 3.119 percent. WARSAW — Tabled. 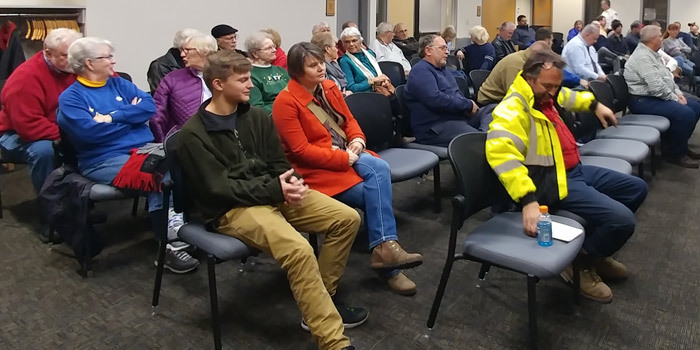 That was the outcome of 2 ½ hours of discussion at Monday evening’s Waraw Common Council meeting, Nov. 21, on approving the issuance of general obligation bonds for the new Warsaw-Wayne Fire Territory fire station at County Farm Road and CR 200N. The matter will be reviewed at the council’s Dec. 5 meeting.